Crock Pot Green Beans - Recipes That Crock! Do you remember the flavor of your Gramma’s green beans? Well, that is exactly what you get with these delicious Crock Pot Green Beans! Gramma has been gone now for 7 months. It seems like forever since I have seen her smile and felt her hugs. Here lately I have been thinking about her a lot and grasping at every memory I have of her for comfort. One of the things that instantly makes me think of her and smile is the smell of green beans cooking. I don’t know how to explain it. As soon as I smell green beans on, I am instantly transported. It is a hot summer day, early afternoon, and I am walking into Gramma’s house and greeted with that wonderful smell and dying to get a taste! Sadly, Gramma was already in the nursing home before I took up any interest in cooking…beyond eating. 😉 So I don’t know exactly what Gramma put in her green beans (I bet Cris knows), but these puppies are about as close as I’ve ever had. *Note: If it is summer and you can get some fresh green beans and break them yourself, DO IT! That will take this recipe to the next level for sure! 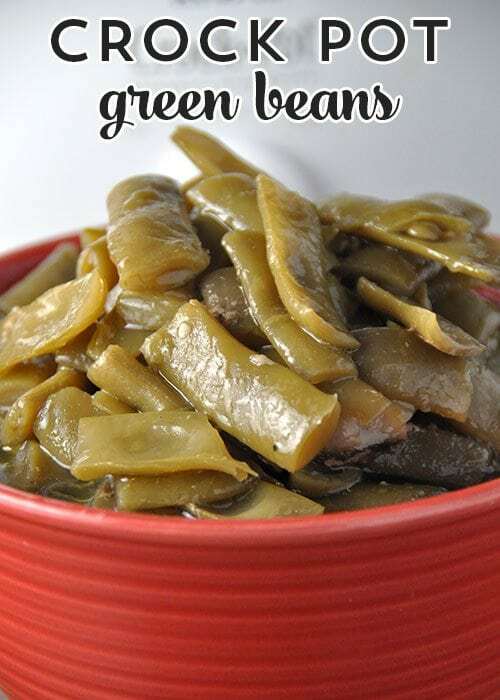 Psst…if you want to make them faster, you can make them in your Instant Pot too with this Instant Pot Green Beans recipe! These Crock Pot Green Beans remind me of green beans at Gramma's house. 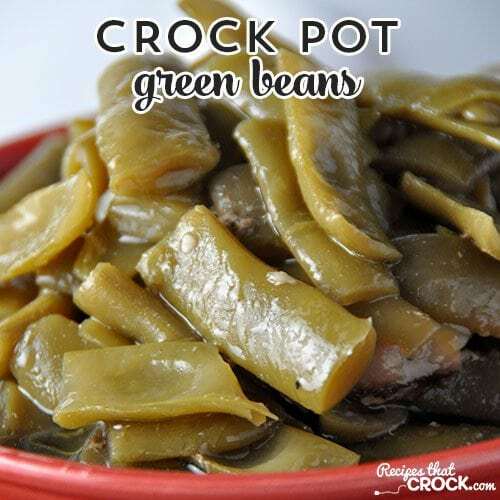 For these yummy Crock Pot Green Beans, I used my 3 qt crock pot. 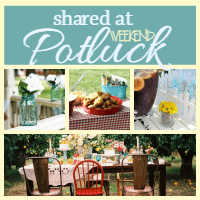 You can use your favorite 3 quart slow cooker and reminisce about the good ol’ days in Gramma’s kitchen. These were wonderful! Served on Easter. Brought back memories of my MaMaw’s green beans! So easy and such grear flavor! I’ll chime in, too. Water + beef bouillon, and toss in some frozen tri-color vegetables. (Some combination of green pepper, red pepper, onion, depends on what brand is available where you shop. They all work.) With or without bacon. Do you drain the can of beans and can you substitute chicken broth for water? I did not drain the beans. While I have not tried it with chicken broth instead of water, other readers have and seemed to really like them that way. Enjoy! Substitute chicken broth for the water and add some minced or fresh onions. Do you drain the beans before putting them in the crock pot? Has anyone tried this with fresh beans instead of canned? The only change I would try, would be to use ham hocks in lieu of bacon. To really take them to the next level use chicken stock instead of water. Also, dice 1/2 of an onion and add at beginning. I’ve made old fashioned green beans for years. Tried this recipe with the changes I listed and they are exactly like what granny used to make. This is my most requested dish at any potluck and I was even asked to make a large batch for a wedding reception. I’m making these for Christmas day dinner as one of the sides for our turkey. Looks and sounds delicious…and so easy; thanks for posting. I don’t have new potatoes, but was going to cut some regular russet potatoes. Would I just put those in at the beginning and let them cook the whole 8 hours? If you need to have the potatoes cook for the full 8 hours, I would cut them into wedges like you would for a roast. I’m afraid if you cut them too small, they would just fall apart. I haven’t tried it though, so let me know how it turns out! Enjoy!